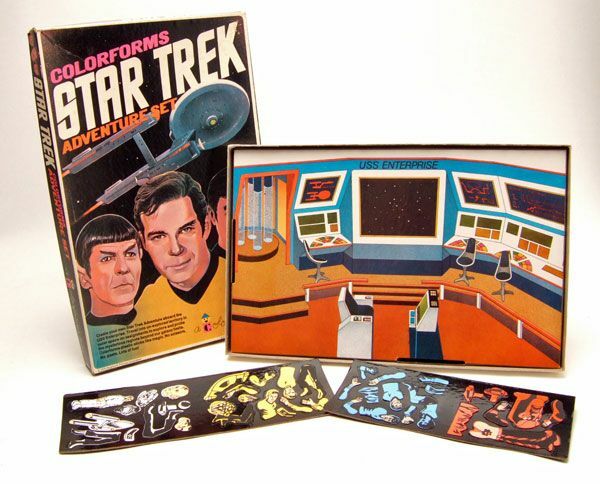 The Rundown: Though I was born a few years after the release of this set back 1975, I did grow up in the age of colorforms. 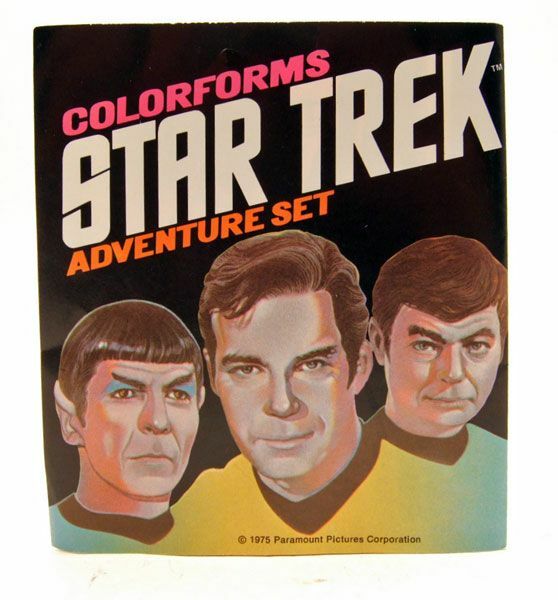 I would have LOVED to have had this set as a kid, as colorforms were some of my favorite playtime accessories when I was just a wee Trekkie. 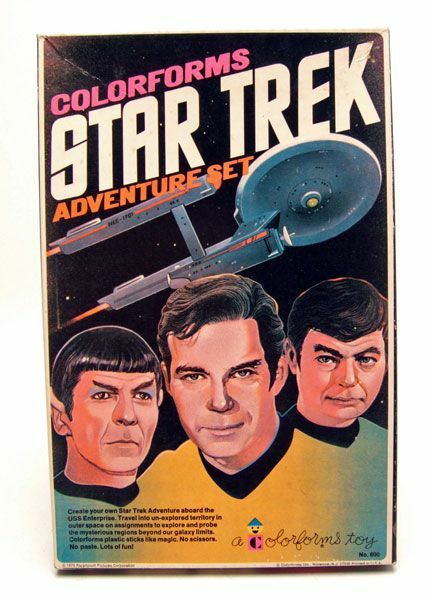 The first thing you notice on this set is the beautiful box illustration of Kirk, Spock, and McCoy with the Enterprise soaring behind them. It's a beautiful piece and I'd buy a poster of it in a hot minute. Inside the box are 2 small cardboard sheets covered in colorforms. 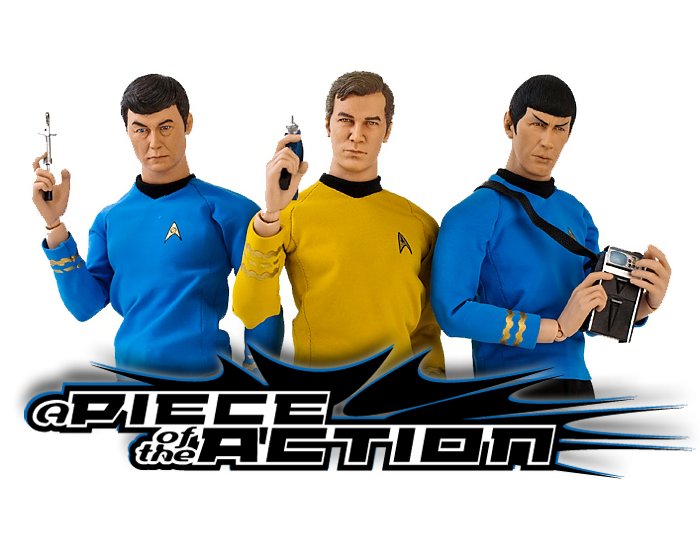 The larger one has various Kirk parts, someone in mid-beam, a Romulan Bird-Of-Prey, the Enterprise, a bunch of alien parts (including what appears to be the head of Dr. Sevrin from "The Way To Eden"), and various other parts. I took inspiration from the classic episodes, with a few movie moments mixed in. 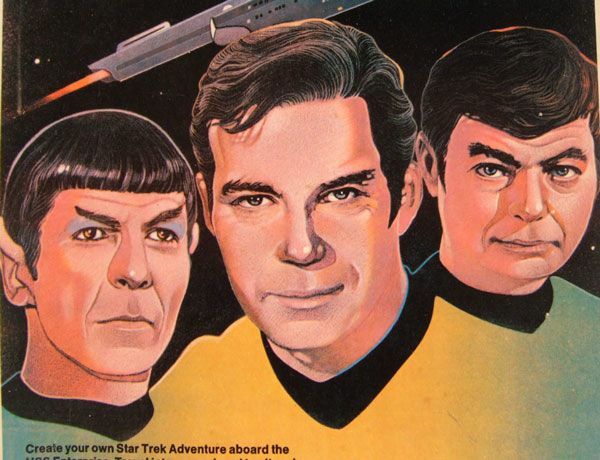 Kirk is applying his patented drop kick to an unsuspecting alien, McCoy is in the midst of a cordrazine-induced hysteria, Spock is putting the moves on Uhura (shades of Star Trek '09), and an evil double of Kirk is sneaking off to make time with Yeoman Rand, who's busy off-screen botching a transportation (Star Trek: TMP). Since there's no Scotty piece, the disembodied head of Dr. Sevrin is manning the engineering station. 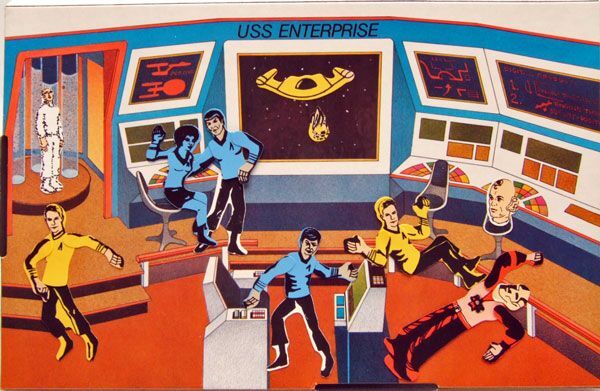 Colorforms rule. The set is a bit pricey nowadays...but man is it fun. 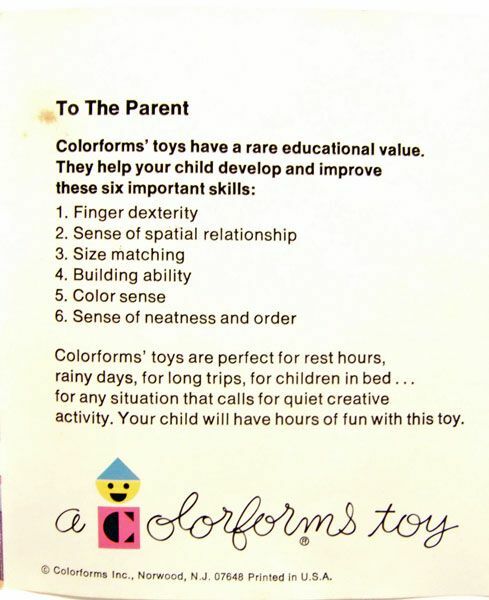 Hallmark Ornament Spotlight- 2009 "The Menagerie"
On Facebook? Become a fan!